Especially under real driving conditions, new challenges for the powertrain development with focus on efficiency enhancement and emission reduction occur. In order to achieve the ecological and economic development goals, the use of a suitable development methodology, including targeted simulation tools, dynamic measurement techniques and a deep understanding of the physical phenomena and mechanisms is necessary. In this article, APL presents an appropriate method chain. 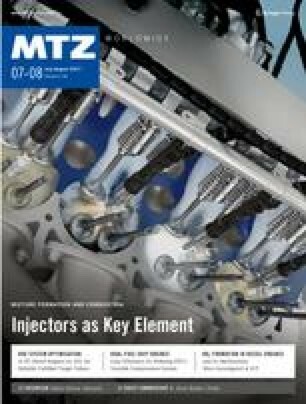 The reduction of the emitted number of particles (PN), especially in gasoline direct-injection engines, is becoming more and more the focus of the future worldwide RDE legislation . Due to the required use of standard fuels and the discussed reduction of the limiting particle size to 10 nm , the challenges for compliance with emission regulations will further increase.